This CD is a compilation of the most revolutionary scientific information on the planet today. In this CD you will find the Full Patents for Magrav Technology, and you will find the award-winning Physics Papers that have started a Revolution in the world of physics. This fundamental recalculation of the size of the proton has now put the foundation of Quantum Mechanics (the Standard Model and the Strong Force) in serious question! From there, Nassim Haramein goes on to say that it is Gravity, not the mysterious Strong Force, that is holding together protons at the subatomic level. Flying in the face of the Standard Model in physics, “The Schwarzschild Proton” received the Best Paper Award at the 9th International Physics Conference (CASYS’09 – Computing Anticipatory Systems) in Belgium. In this paper Nassim Haramein precisely predicted the charge radius of the proton. A prediction that was then confirmed by a Swiss proton accelerator experiment in 2013. * The best part about The Schwarzschild Proton is that it came from, and is based on, The Haramein-Rauscher Solution which describes a fundamental TORQUE within the fabric of space-time. 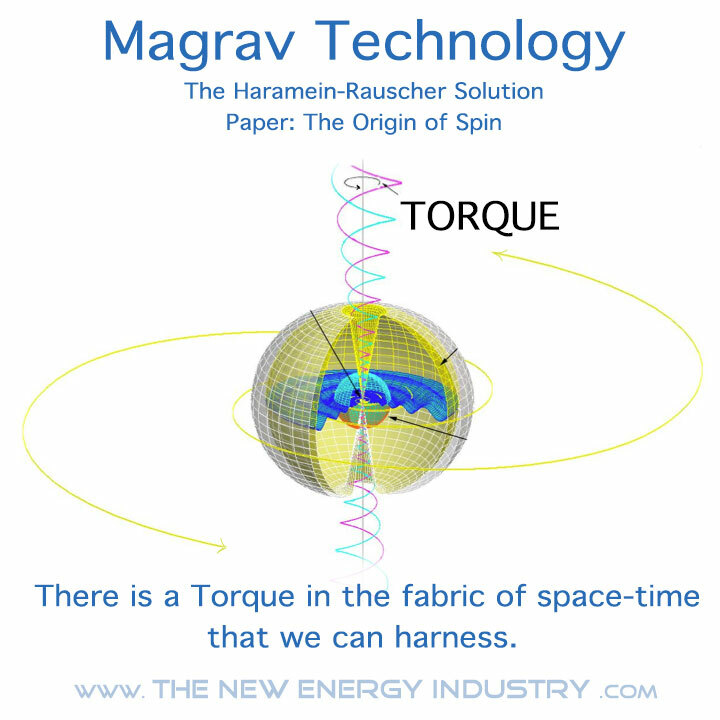 A Torque that we can harness: Magrav Technology! b. “The Origin of Spin“ – The Haramein-Rauscher Solution (Einstein with a Twist). In this paper, Nassim Haramein and Dr. Elizabeth Rauscher have added torque calculations to Einstein’s Field Equations, thus identifying the Origins of Spin (hence the name of the paper) of Atoms, Planets and even Galaxies. This recent discovery of torque within the fabric of space-time is the +1 energy input that explains the perpetual motion of mass within the universe, and as it turns out, when we harness this universal torque it produces both a magnetic field and a gravitational field (that’s new!). 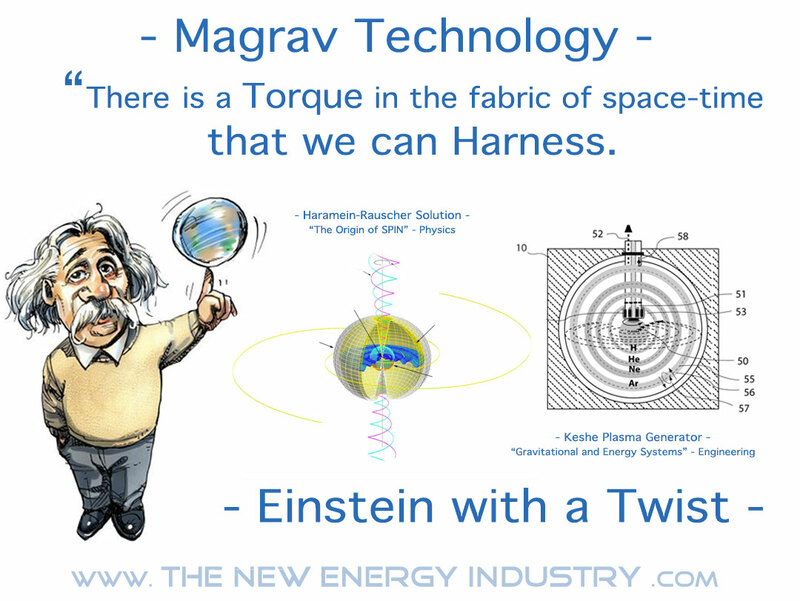 Magnetic and Gravitational Field Technology: Magrav Technology. This paper shows us that the fabric of space-time has an inherent, fundamental torque that now explains why Atoms, Solar Systems and Galaxies, Spin! This paper also gives us accurate calculations that we can use to engineer generators that tap into this clean and unlimited torque! * The Scientific Revolution Has Begun! a-b. Gravitational and Energy Systems – Full Patent, PLUS Video Animations and Adobe Illustrator File Images. 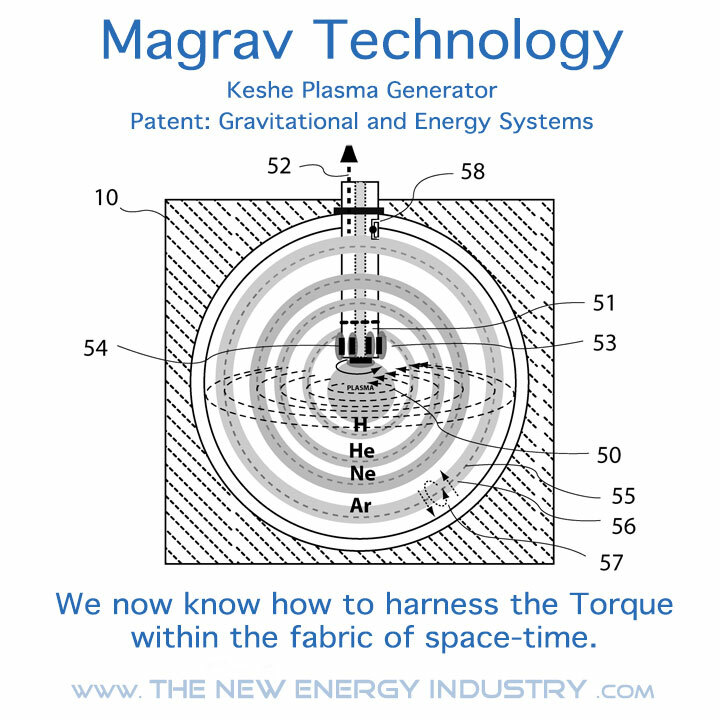 In this patent you will learn to understand both the scientific theory, as well as the Engineering behind the Keshe Plasma Generator, and behind magnetic and gravitational field technology: Magrav Technology. The Keshe Plasma Generator harnesses the torque within the fabric of space-time (described by the Haramein-Rauscher Solution: see 1.b. ), to generate dynamic ionization within Gans material. Gans stands for “gases in a nano material solid state” (Gans = Gas in a Nano Solid state). This Gans material is a superconductive material that is the medium in which the dynamic ionization occurs within the Keshe Plasma Generator. The dynamic ionization is initiated via the centrifugal forces within the rotating core of the Keshe Plasma Generator (KPG). From there, the dynamic ionization is perpetuated and increased via the torque within the fabric of space-time. Now that we understand the fact that gravity is the strongest force in the universe, and we understand that the fabric of space-time has a fundamental torque (Einstein with a Twist), we now have the potential to build small scale systems capable of generating electricity, as well as, producing their own gravitational field that is independent of the Earth’s gravitational field (spaceship (magrav) technology). How Can I Get This CD? 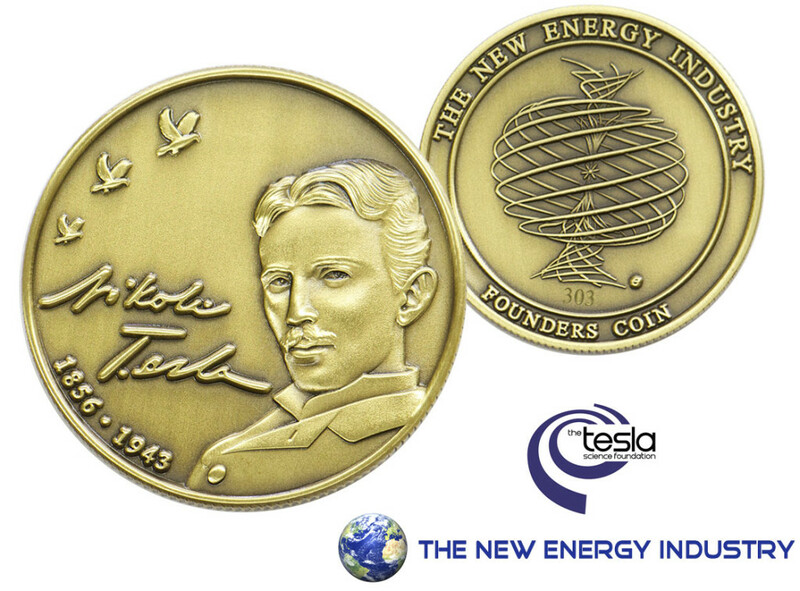 Become a Founder of THE NEW ENERGY INDUSTRY, and let’s get this show on the road!